Oregon Governor John Kitzhaber hasn’t said whether he supports or opposes the proposed state sales tax in one of just five remaining states without a sales tax. Oregon is currently one of only five states without a sales tax. This may change though with upcoming legislation. On April 15th, Oregon lawmakers held a hearing to discuss whether the state should add a 5 % sales tax on most goods and services. As written, this proposal would exclude a few items like food and medicine. 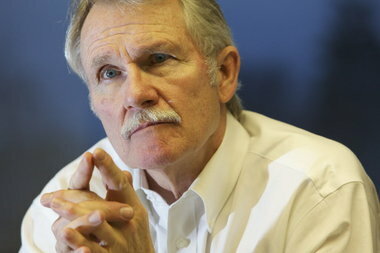 Oregon Governor John Kitzhaber didn’t give a clear opinion on where he stands on this new sales tax. He admits that Oregon needs to revise its current tax system and that an Oregon sales tax could be part of a solution. However, he also commented that he is looking at other financing alternatives. This bill is still under discussion by Oregon legislators. However, a vote could go to the Oregon public later this year to decide whether or not the state should add a sales tax. Lucinda Rowlands has been the general manager at Zip2Tax since 2010. She has extensively researched sales and use tax regulations in order to help small businesses navigate complicated tax rules.